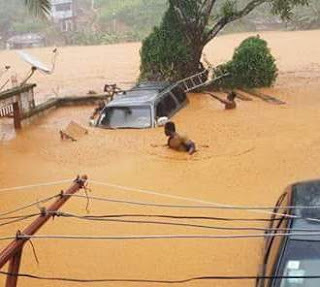 Over 300 people are feared dead after a mudslide in Regent, near Freetown, Sierra Leone. 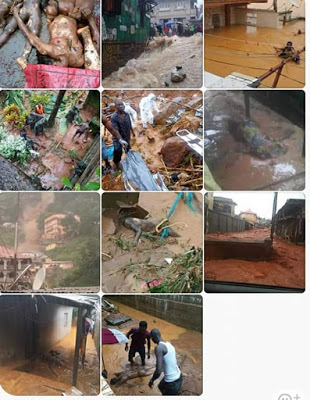 The incident happened when a hillside in the Regent collapsed on Monday morning, following a night of heavy rain, sending mud sliding down and covering houses where people were sleeping. Emergency services are on the scene trying to reach people who are trapped beneath a collapsed hillside. 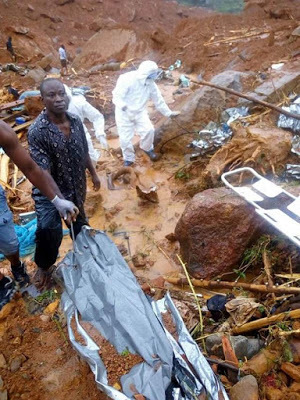 Sierra Leone’s national television broadcaster interrupted regular programming to show scenes of people digging through mud to retrieve the dead bodies of loved ones. 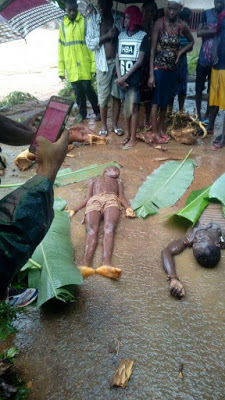 An official at a mortuary in Freetown, Sinneh Kamara, told the broadcaster that more than 200 bodies had been brought in and were being stored on the floor of the morgue, since the facility did not have capacity for all the corpses. An estimated 2,000 people have been made homeless by the monsoon rains. The death toll is expected to rise as more bodies are recovered, Red Cross spokesman Abu Bakarr Tarawallie said. “It’s likely that hundreds are lying dead underneath the rubble,” Vice-President Victor Foh told Reuters. “The disaster is so serious that I myself feel broken,” said Foh, adding that authorities were trying to cordon off the area and evacuate people.